A trip to the Mile High City calls for an urban adventure. 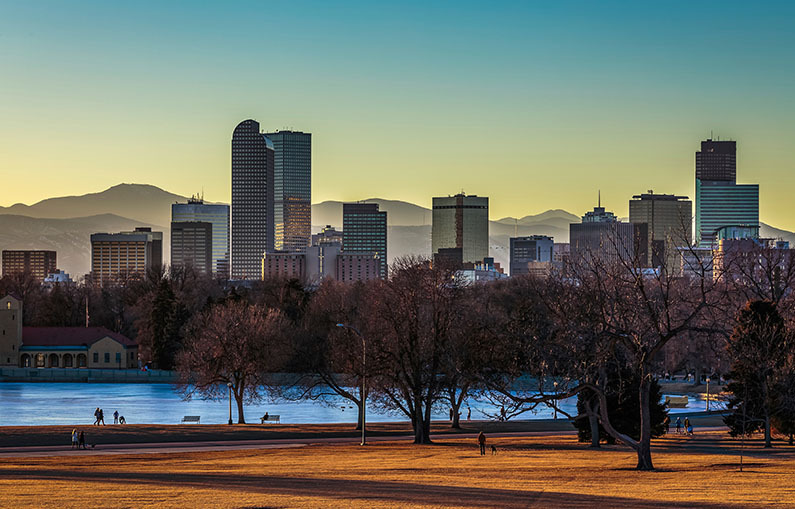 Nestled in the vicinity of the resplendent Rocky Mountains, Denver is a metropolis of nature, with its backyard boasting a myriad of outdoor attractions. As the most populated city in Colorado, Denver also maintains an active downtown area, filled to the brim with museums, nationally renowned restaurants, and entertainment venues. Sixty miles west of Denver sits Mount Evans Scenic Byway, the highest paved road in North America. With an elevation of over 14,000 feet, the peak dwarfs the Denver skyline. Echo Park, where the mountain itself is situated, offers a great outdoor experience to its visitors, including lake fishing. Colorado lives up to its reputation here: the trip to Evans’ summit passes through five climate zones. At Dinosaur Ridge, visitors can walk in the footsteps of our ancestors (the kind with lots of teeth). Located just west of downtown Denver, the site is etched in dinosaur tracks, and once contained the fossils and bones of such creatures as the Stegosaurus and the Allosaurus. It’s not quite Jurassic Park, though you can still survey the grounds and take a prehistoric walk through time. Known as the “Unsinkable Molly Brown,” Miss Molly became one of Denver’s most famous residents. She caught the nation’s attention after surviving the horrific sinking of the Titanic. Molly used her fame as a platform, campaigning for several social justice causes throughout the rest of her life. At the Molly Brown House Museum, Denver tells her story, and guests are invited to explore her gorgeous Queen Anne-style abode. With the slogan “Anything on wheels,” the Forney Transportation Museum is a love letter to the history of transportation in America. The exhibits include one of Amelia Earhart’s beloved vehicles (the “Gold Bug” Kissel), an amphicar, and several historic locomotives. For the auto enthusiast, the museum even showcases cars for sale. To plan your trip to Denver or for an extended guide of things to do, visit the official Denver city guide at http://www.denver.org.